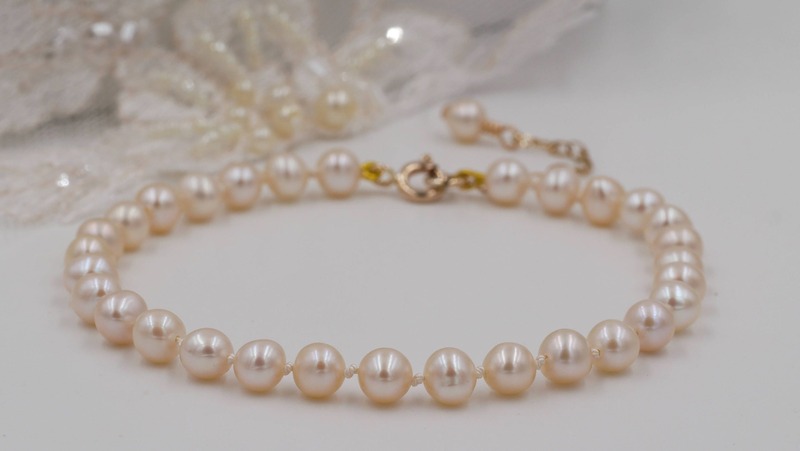 Traditional Knotted Freshwater pearl bracelet, hand knotted using traditional techniques and with silk thread and finished with your choice of a Sterling silver, gold filled, 9ct gold, rose gold filled or 9ct rose gold clasp. Do you want an heirloom to keep after your special ceremony or a gift to give a loved one which will last forever ? 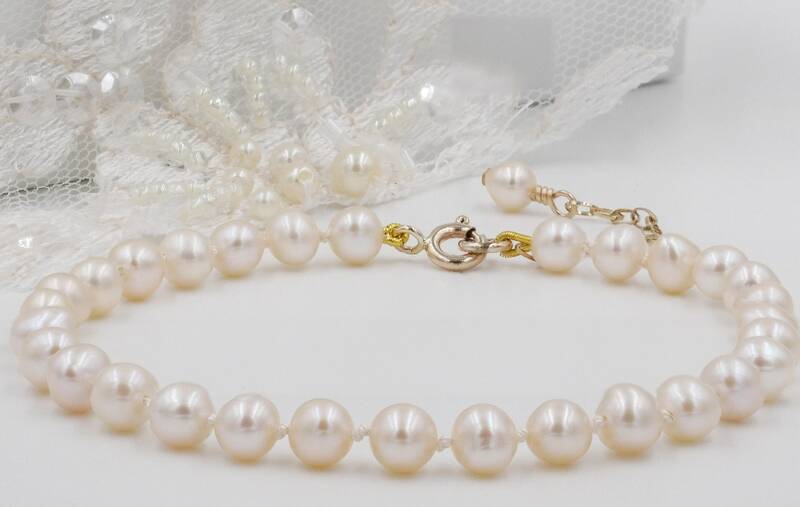 The pearls I use are high quality grade aa near round cultured freshwater pearls - the pearls are very near round and some may be oval - please zoom into the pictures to see. They have hardly any or no flaws as I choose very very carefully. 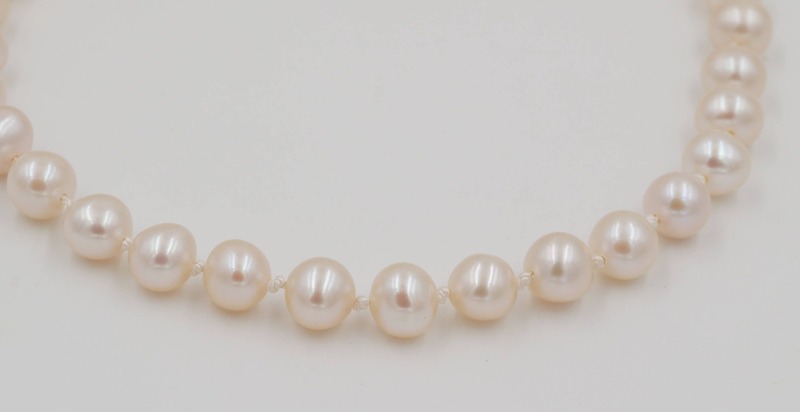 I am able to obtain perfect round pearls on a custom order basis. 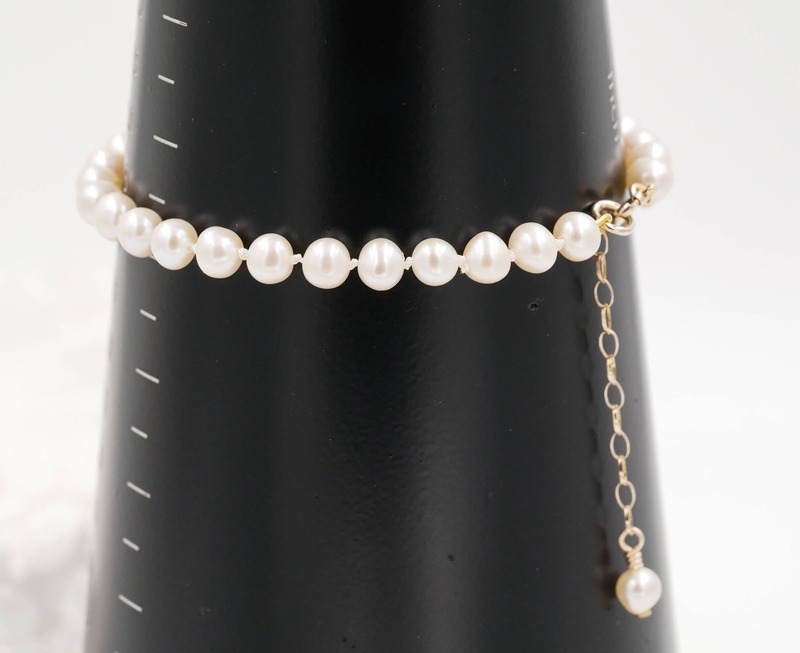 The pearls pictured are 5.5mm - 6mm and has been finished with a 9ct gold clasp. PLEASE NOTE THAT THE PROTECTIVE GIMP WIRE (the wire protecting the silk close to the clasp) IS CURRENTLY ONLY AVAILABLE IN YELLOW GOLD OR SILVER. I will use a darker gold for the rose gold option - it will not detract from the rose gold option. 📝 NOTE ON WRIST MEASUREMENT- please do not measure the length of an existing bracelet as I work from internal bracelet measurements which Is your wrist measurement. Sent in a luxury jewellery box, tied with ribbon - perfect for gift giving. As this is a bespoke made to order item, please check current production times under shop announcements. Sharon at Sophiabeau provides an absolutely EXCELLENT service. She communicated wonderfully about the bracelet, and when it arrived (it was a Christmas present from my husband), it was beautifully presented in a lovely box, was exactly the right size, and looked really lovely. She also gave me a sweet present of two matching earrings. 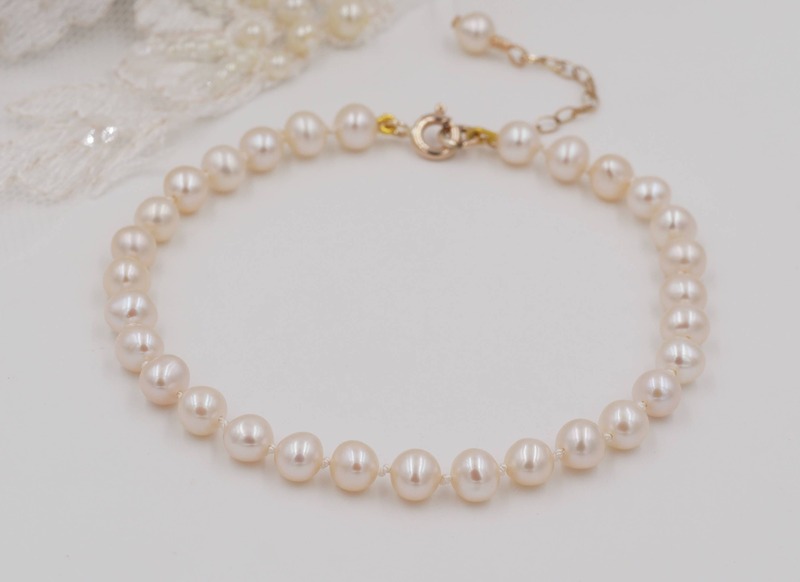 I love the bracelet, which is beautifully made, and cannot recommend Sophiabeau highly enough.